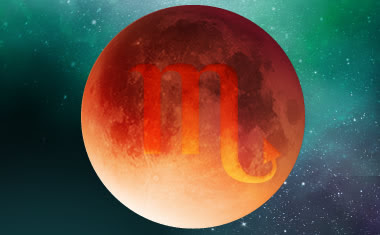 Mars (physical energy/motivation) changes signs this month, Scorpio. On 7/13 Mars will enter Cancer, your 9th House of overseas travel, publishing and your worldviews. The 9th House also deals with legalities, higher education and foreign countries. This month a heavy emphasis on your 9th House areas suggest good fortune coming into your life via these areas. Mars begins the month in Gemini. Gemini is your 8th House of shared resources. With Mars in Gemini, your determination where finances are concerned will motivate you to get any lingering projects completed. Mars will enter Cancer on 7/13 and remain in your 9th House until 8/27. This should be a fortunate time for all Scorpios. Overseas travel, opportunities to pursue higher education and publishing could be offered to you. You might also begin planning for a trip overseas or find the love of your life in a foreign country. Venus (Love) begins the month in Leo (your 10th House of career). During this time your superiors, bosses and associates show appreciation and admiration for a job well done. You can make tremendous strides in your professional endeavors throughout this transit that lasts until 7/22. Expect the unexpected when it comes to support from those you thought were not on your side. On 7/22 Venus will enter Virgo and your 11th House of friendships and group involvement putting a heavy emphasis on your hopes and wishes. July will be a month when you learn where you stand. The support you receive both personal and professional brings a smile to your face. However, with Mercury retrograde for the first 20 days, there could be some miscommunication, misunderstandings or communication snafus that you must handle. Listen to the opinions of those you work closely with, Scorpio. Be receptive to those who might have suggestions that could benefit you on a professional level. On 7/7, Saturn (discipline/structure) resumes direct in your sign, Scorpio. You can begin to return to working on projects that have previously stalled. It will be imperative that you continue to create solid structures and foundations in personal, professional and social relationships. Lie low on this day as everyone will feel out of sorts and the energy around you appears agitated. On 7/8 the new Moon in Cancer brings opportunities involving your domestic life and you find that family and home life play a role. Something new is entering your life, courtesy of Jupiter, and a new Moon in your 9th House brings changing or strengthening of your worldviews. Prepare for expansion, growth and movement in one key area of your life. Once Mercury resumes direct on 7/20, it's time to celebrate and enjoy the combination of Mars and Jupiter in your 9th House. These two planets traveling in the same sign bring about some opportunities and growth that you never thought possible. You could be offered a new job, the chance to travel overseas or the possibility to further your education. The 9th House is where Scorpio can expect to make his or her greatest progress this month. With all the emphasis on the sign of Cancer, you can expect home and family life to be involved in some way as well. Follow your intuition and your heart, and you will know what to do and where you want to be as the month winds down. On 7/22, A Full Moon occurs in Aquarius, your 4th House. Family, home, real estate and investments will be areas that are illuminated and clarified for you. Just watch out for a tendency to react to those who might not be on the same page as you are, Scorpio. This full Moon can reveal what has been kept hidden but you will be grateful to know where you stand in these areas despite the mood around you. Lie low for ideal results on this day. A Gemini, Sagittarius and a Pisces will play key roles in your life throughout July, Scorpio. A Virgo will be helpful where personal and professional matters are concerned. These friends, loves and associates can help you see clearly what might have been kept hidden from view.